It’s easy to forget that Arnold Schwarzenegger was once an underdog. He ascended to the very heights of movie stardom in spite of his considerable handicaps. In that sense, he is very much like his one-time rival, Sylvester Stallone. Both men are now in their mid to late 60’s, and attempting to recapture a bit of their past glory. 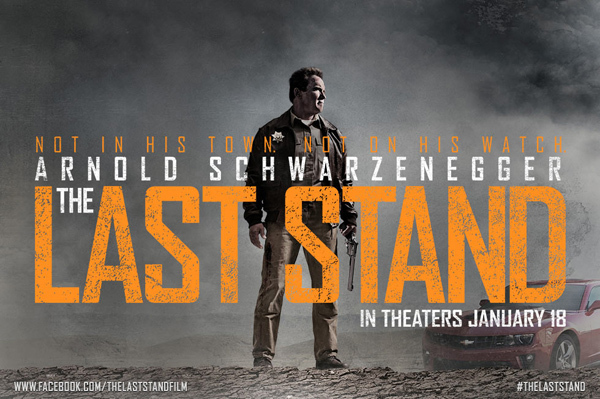 Arnold’s first true effort in that regard is The Last Stand. Former Los Angeles Police Officer Ray Owens (Arnold Schwarzenegger) now serves as sheriff in the U.S. border town of Sommerton Junction. After escaping F.B.I custody, a drug kingpin and his minions are headed straight through Sommerton with a hostage in tow. Owens is all that stands between them and ultimate freedom. Though initially hesitant, the aging lawman eventually stands against them. The Last Stand is the first American film by cult favorite director Kim Ji-Woon. His first stateside assignment provides him with a unique challenge. He has to help a relic of a bygone era reestablish himself in the current marketplace. The relic in this case is action icon Arnold Schwarzenegger. During the 1980’s (and even into the 1990’s) Arnold has able to take his many liabilities as an actor and turn them into assets. For instance, his impenetrably thick Austrian accent is now a part of his persona. Filmmakers of the period often presented it as though it were the most natural thing in the world. That approach can’t work in the modern era, where even the tiniest inconsistency can pull viewers right out of a film. The casting of Arnold in this particular role creates a bit of a problem. Why would a 6 foot, 250 lbs. Austrian doing become Sheriff in a small U.S. border town? How exactly did he end up there? It goes without saying that the film won’t bother to answer, or even address, this little peculiarity. 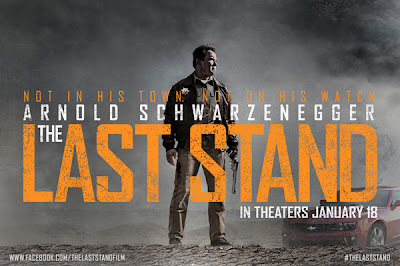 To be fair, The Last Stand doesn’t look to take itself all that seriously, but the addition of Arnold brings it to the point of near parody. Perhaps that is the tone that Kim Ji-Woon and company are looking for, and on that level, this just might work. Otherwise, this could be a misfire of epic proportions.